With over 30 years experience, meet the executive team from Payment Source. George DeMarchi is a serial entrepreneur with over 30 years experience in telecom, prepaid and payments industries. Prior to co-founding Payment Source in 2014, George was part of the launch of the wireless industry in Canada. George subsequently embarked on a progression of start-ups ranging from building an international rental provider of cell phones and also a national telecom vending network. In recent years George founded Go Prepaid which was among the first providers of electronic PIN distribution in Canada. Upon the sale of that company, he worked for an international prepaid software company that encompassed client engagements in the UK, UAE and African markets. With Payment Source, George is excited to bring continued innovation in retail and payments to the Canadian market. He is also a passionate entrepreneur and advocate for community engagement and inclusiveness. With a background in telecom, large-scale computing and systems integration and over 15 years in the financial industry, Trevor Cook is one of the premier leaders in Canada’s payments space. In 2002, he founded Ezipin Canada and in 2014, Trevor co-founded Payment Source. Originally from Melbourne, Australia, Trevor is an avid traveller and has lived in a variety of cities including Frankfurt and Toronto. He is a strong supporter and volunteer at Acceso International and a long time member of Entrepreneurs Organization (EO). Speaking specialties include: alternative payments, future of payments, financial inclusion and exclusion in Canada. 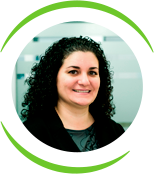 With over 20 years experience in the telecom and prepaid industries, Grace manages new Product Development and day to day operations of the Sales, Card Services, and Customer Operations Departments as well as all card programs. Previously, at VendTek Systems, Grace was responsible for new product development and building turnkey prepaid programs. She was a key part of the start-up Go Prepaid and spent 8 years at Roadpost building and managing international cellular and Iridium Satellite phone rental programs. Speaking specialties include: Canadian prepaid industry and fraud prevention. Albert builds new programs and business relationships that create value for all parties. From creating an Executive MBA program to launching a national cash acceptance network, he has a proven track record of assessing and realizing market opportunities with winning outcomes. As a business development executive his strengths and experience are in strategic planning, business modeling, partnerships, negotiation and execution. Speaking specialties include: in-person payments, card programs, market insights and trends of the payment industry in Canada. 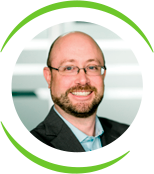 Robert has over 15 years of experience delivering technology solutions and digital strategy to a variety of firms. 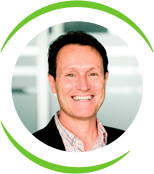 He is a skilled executive business leader who works collaboratively with clients, colleagues and partners to deliver progressive, multi-disciplinary solutions to business problems. 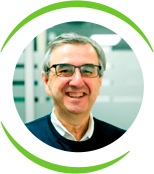 Over his career, Robert has worked as a project manager, sales & marketing professional, strategy consultant and technologist. Prior to his position with Payment Source, Robert was Director, Client Services for Architect, a professional services technology firm where he was accountable for Client Delight, Project Alignment and Delivered Revenue from all existing clients. Speaking specialties include: ecommerce disruption, alternative payments, government financial services, in-person payments, and financial inclusion. Grant was a co-founder and former head of the Development team at VendTek Systems Inc. (“VendTek”), which developed Payment Source’s existing technology platform. 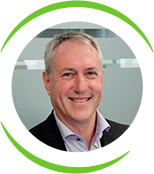 He has 27 years of financial industry development experience, including direct customer and partner dealings on five continents. Grant attended Simon Fraser University on an academic scholarship and holds a first class honours Diploma of Robotics and Automation Technology from the British Columbia Institute of Technology. 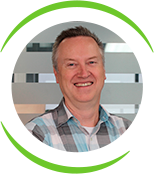 As CTO at Payment Source, Grant leads the Development team in Port Moody, BC, and is responsible for all product development, sales support and implementations.